According to legend, this cow’s milk cheese was the result of a delicious accident. A wheel was hidden in a wine barrel and then forgotten. When the cheese was rediscovered, the wine flavor had permeated the rind and created a distinctive, fruity, and wonderful flavor. Producer Beppino Occelli has been crafting quality cheese since 1976. These firm wheels are aged for five months before being packed in Barolo Wine DOC and grape must for two more months, which imparts a juicy richness, balanced by the sharp sweetness of the paste. 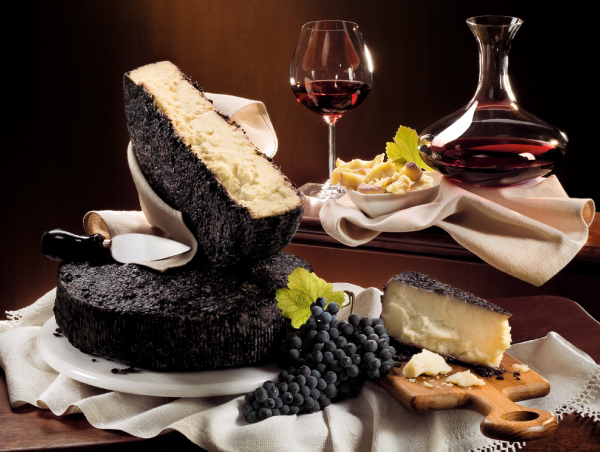 Occelli® al Barolo took home a Gold at the World Cheese Awards in 2015-2016. Its strong bite and full texture make an excellent pairing for vintage red wines, including, of course, Barolo.